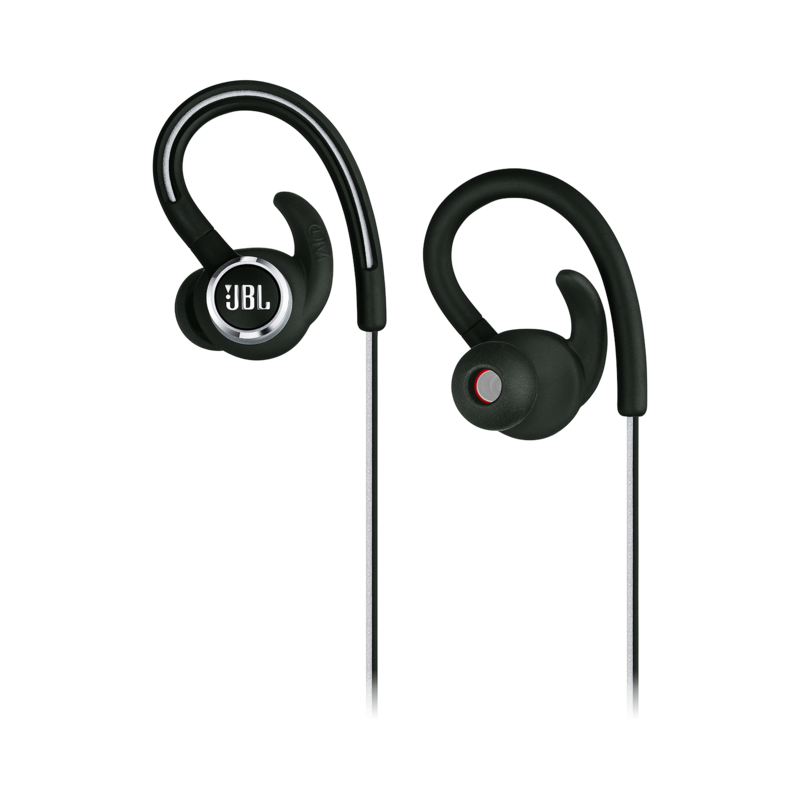 JBL Reflect Contour 2 heeft als beoordeling 4.0 van de 5 door 88. Rated 1 van de 5 door Dallen42 uit DON'T Waste you $$$ I received these headphones on May 3rd and today is May 15th and they stopped working this morning in the middle of my workout. They will not charge and they will not turn on anymore. I guess they aren't really sweat proof unless maybe you perspire lightly. When I workout I sweat pretty hard there is not a lot I can do about that. I tried these headphones and they sounded great and fit great and for the first 10 days they worked great, but that all ended this morning. 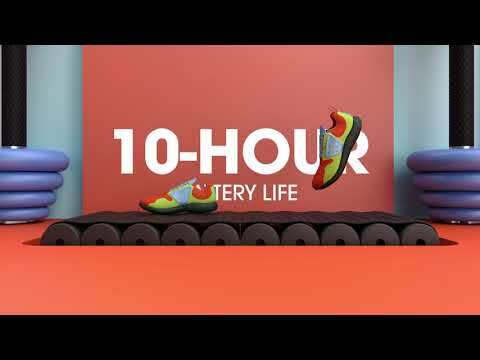 Very disappointed that a pair of $100 headphones claiming to be sport headphones are not truly sweat proof. Rated 5 van de 5 door South Bay Dr J uit 6-month review after heavy use August 27th 2018 I am a serious workout guy from L.A., I run 5 times per week and lift weights 3 times a week. I wear these for most of my runs and about 1/2 the time when I am in the gym lifting. These earphones have a decent sound, not superb or excellent but are a good, solid set to hear music while concentrating on the workout. 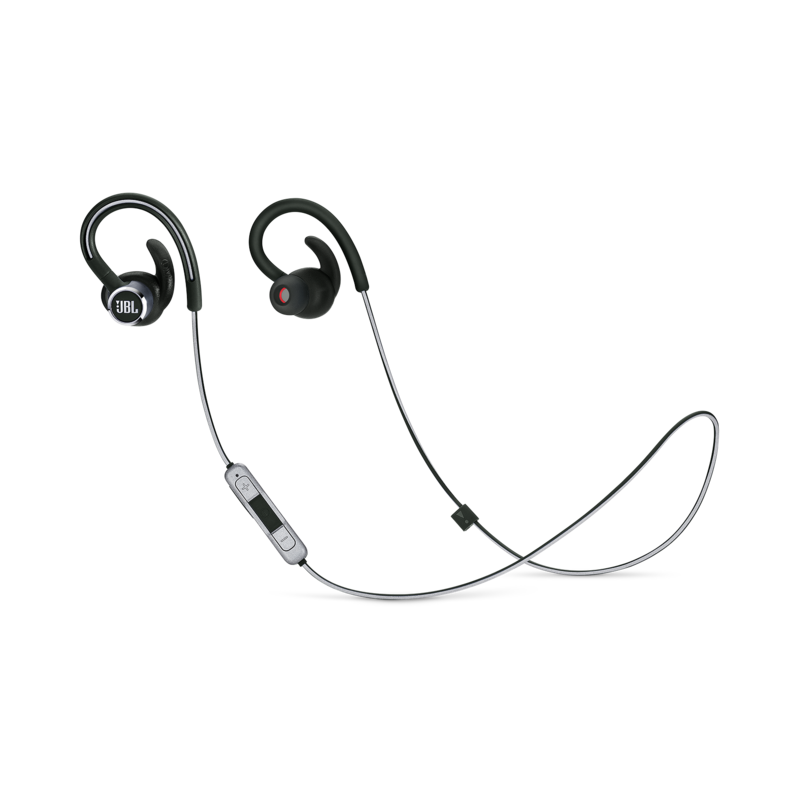 They stay in my ears the entire time whether I am doing a long, slow run; a tempo run or intervals. They are comfortable once you get the right combination of buds and ear holders, I recommend you try all the sizes provided to get the right fit. There are 3 sizes provided in the box. They have not once stopped working due to sweat or moisture. Sometimes when I come across other runners I know, I take them out of my ears and tuck them inside my T-Shirt for the duration of the run, while we talk. Even in that super moist environment they have not failed, very remarkable - especially since we have had extremely high humidity in Southern California for most the last 2 months and I have been totally drenched in sweat at the end of the runs. The pic is from the week of Aug 13th 2018, during a 2 hour run in trails around the San Luis Obispo area, in high humidity conditions, hence the headband. The controls piece is easy to use, it sways back and forth but is not in the way, the connector wire does not flop around annoyingly, . They do not shut off all sound around you, which works for me as I run on trails, the street, parks, the beach and the track and want to be aware of my surroundings. These are very light weight and the wire is reflective. The bluetooth is very reliable, when at the gym, sometimes I leave my phone in my bag and tuck it into a storage cube,within the workout area, which is approx 40 ft x 50 ft, then move from station to station without get any drop-offs. It even stays connected when I move to the adjacent room, which is 15 ft away and separated by a hallway which has two walls. The only drawback is that I get complaints about voice quality when I answer phone calls, so I had to purchase a separate earpiece to answer calls while driving. Overall after 6 months of heavy use, I give these an 8 plus, taking away for the bad mic during phone calls. When I am stopped, I pull the mic closer to my mouth and my voice improves drastically according to folks with whom I'm talking. I would definitely recommend these and I would buy a replacement pair if these were lost or damaged. So far no issues. I will review again after a few more months. Rated 5 van de 5 door chuckv uit So far so good Bought these today to replace the contour 1. Wanted the ability to use siri to text and hear text while riding. Here is a hint they do not tell you and the call center did not know, hit the home button twice to activate siri. Took me awhile to figure that out, hope it saves you time. Rated 4 van de 5 door BobbyJoe uit So far, so good! 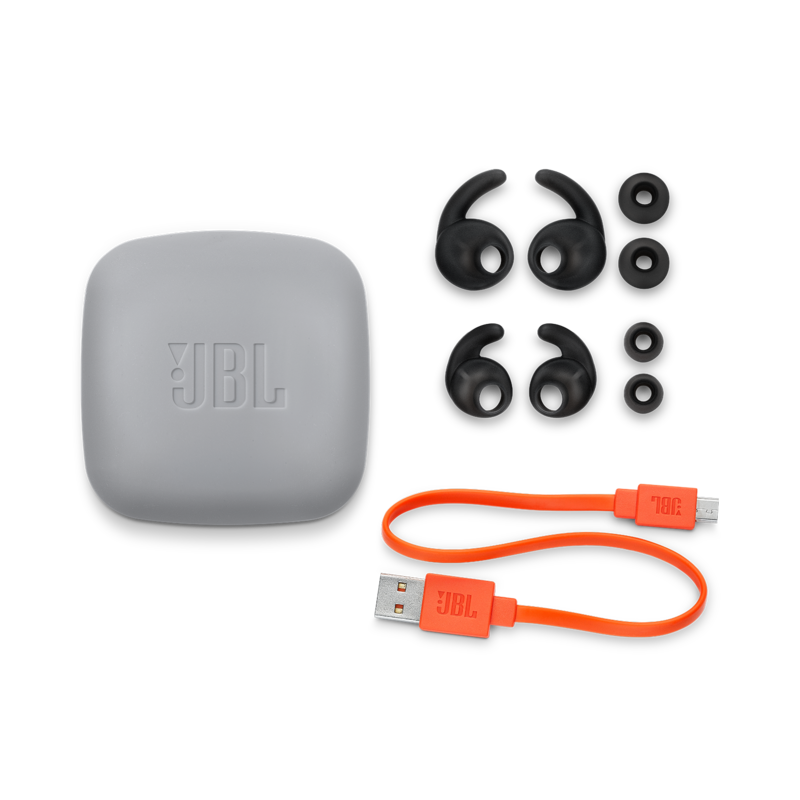 JBL wireless sport headphones have come a long way from the first pair I unfortunately bought. That set I returned as they were uncomfortable, bulky, had poor audio quality, and the left side quit working within a few workouts. These are a 180 from there. 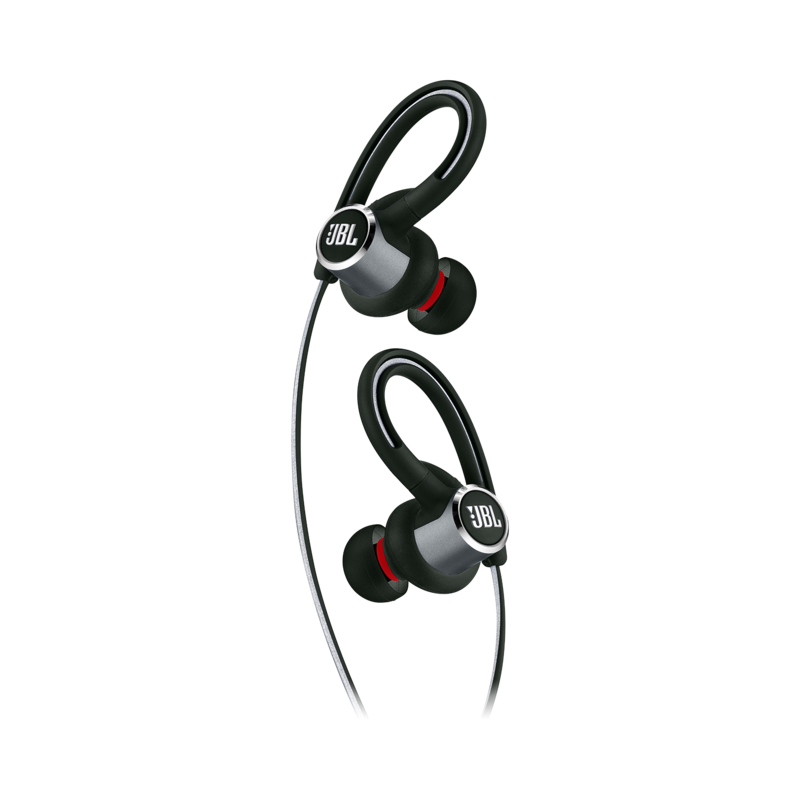 Comfortable, light, good audio quality(noise floor is MUCH better), and they actually stick in my ears throughout my full workout(3 mile run, weights, etc.). That last part was the most frustrating with other sport headphone since I sweat a lot and almost always end up with one of the earbud popping out during a long run... Very please so far. Rated 4 van de 5 door guiguick67 uit Discret, compact et efficace Présentation soignée dans un bel emballage, les 3 tailles d'embouts permettent de s'adapter à toutes les morphologies. Personnellement sans maintient autour de l'oreille je n'arrive pas à faire tenir les écouteurs. J'avais déjà un autre équipement premier pris, mais là il n'y a pas photo: très bonne qualité de son, bonne finition, ergonomie du produit. Rien à redire mis à part le cordon tour de cou qui une fois ajusté ne facilite pas l'accès aux commandes du volume ou pour la prise d'appel. Boîtier caoutchouc pratique pour le transport, un étui rigide aurait permis une protection complémentaire mais c'est déjà très bien.